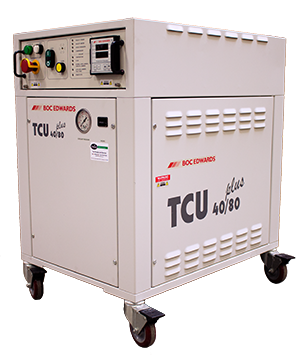 The TCU 40/80 Plus Chiller, originally manufactured by BOC Edwards, was designed as original equipment for the LAM 2300 series of etch platforms. It features robust construction, long mean time between failure and fluorinated cooling fluids, which eliminate the need for on board deionization systems. To conserve floor space, the TCU 40/80 Plus can be stacked with another unit, either directly on top of each other or through the use of a special stacking frame. 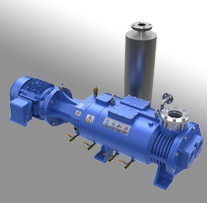 In 2009 Trillium acquired the chiller and heat exchanger product lines from Edwards. 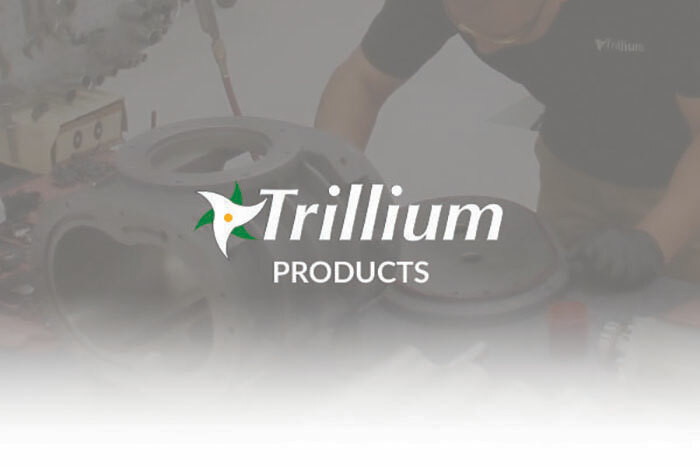 Trillium provides End Users worldwide support, repair service and spare parts, as well as New and Refurbished TCU 40/80 Pluses. The following specifications are provided for both the TCU 40/80 and TCU 40/80 Plus for comparison purposes.